The first three novels in the Animal Inn chapter book series, where the fur—and fun—flies at an animal spa and hotel, are now available together in a fur-tastic paperback edition! The Animal Inn is an all-inclusive pet resort and spa for animals from dogs to rabbits, cats to ducks, parrots to lizards. From doggie and kitty daycare, to grooming, and group play—you name it, and the Animal Inn has it. The Inn is run by the Tyler family along with their pets Leopold, the Macaw; Fuzzy and Furry, the gerbils; dogs Dash and Coco; felines Shadow and Whiskers; and a rollicking horde of animal visitors. In A Furry Fiasco, when the animals hear that a new boarder—a Komodo Dragon—will be coming to the Inn, they panic! Will it gobble them all up and then devour their family? In Treasure Hunt, the animals are convinced a pirate with a glittering treasure is visiting the Animal Inn. Will the animals have to walk the plank in order to survive? Arghhh! And in The Bow-Wow Bus, Cassie Tyler’s first grade class takes a field trip to Animal Inn for a meet and greet. And it’s a furry good time for all—even for the newest kid in class, a goldfish named Blub. 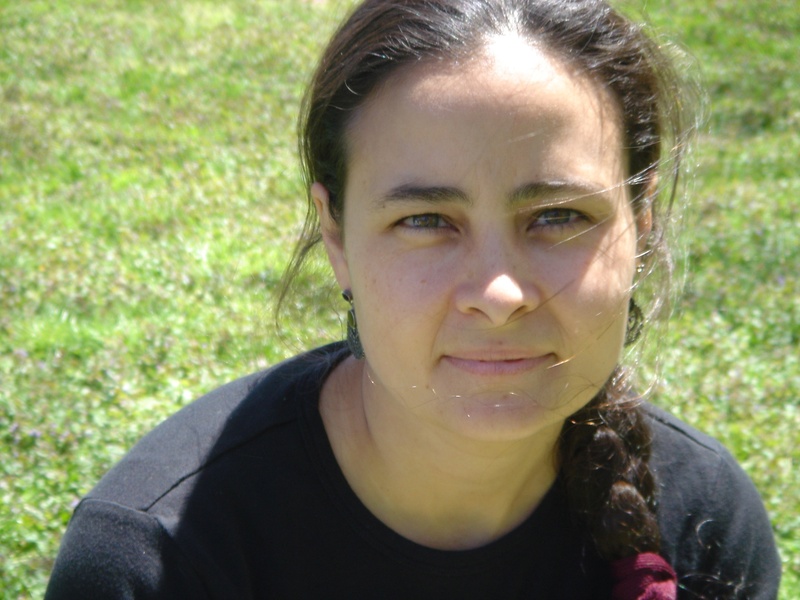 Paul DuBois Jacobs and Jennifer Swender are a husband and wife writing team, authors of many books for children, including the Animal Inn series; Count 1,2,3; Subway Ride; and My Taxi Ride. Paul has also cowritten four books with legendary folk musician, Pete Seeger, including Abiyoyo Returns and The Deaf Musicians. Paul and Jennifer have appeared at Lincoln Center, The Children’s Museum of Manhattan, The Brooklyn Botanic Garden, The Virginia Festival of the Book, as well as countless schools, libraries, and museums. They live in Massachusetts. 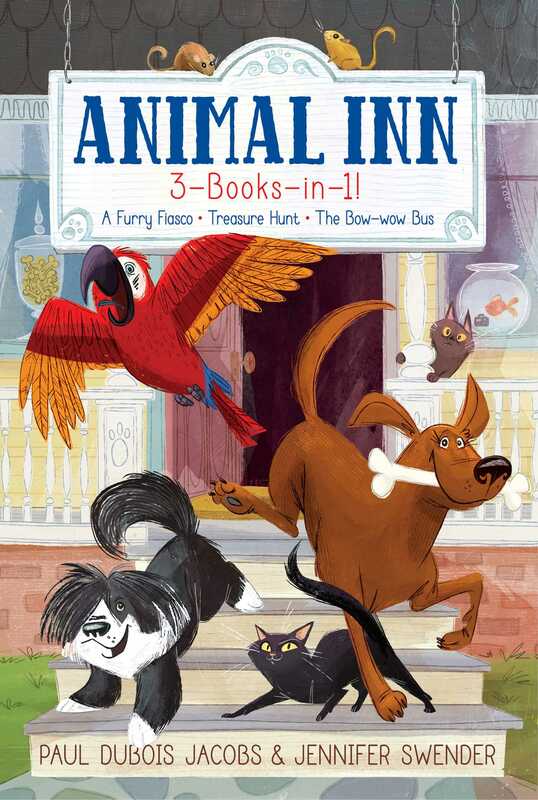 Book Cover Image (jpg): Animal Inn 3-Books-in-1!